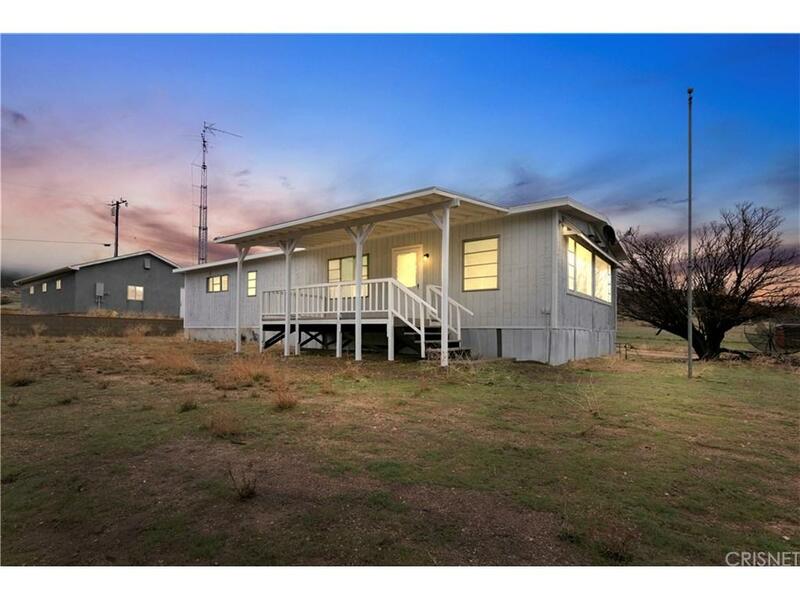 Privacy at its finest with this spacious single story Ranch home with over 2 acres of land. Drive up to property and appreciate the covered porch and wooden sidings along with detached spacious 3 car garage with electricity that can be easily transformed into living space. Look out and Enjoy the views from the immense windows this property offers as light shimmers on upgraded laminate wood flooring, custom built ins and brilliant white baseboards. Modern Kitchen offers Granite counter tops, mosaic back splash, Stainless Faucet, elegant gray cabinets with brass hardware tied together with linoleum flooring. Master bedroom offers wall to wall storage, Dual vanities, stand up shower and soak in tub.